At Opus, we can transform your conservatory with our high performance, beautiful conservatory roofs in Romford and Essex. These stunning upgrades to your conservatory will enable you to enjoy the additional living space it provides, to the highest standard. A poorly performing conservatory can offer inferior standards of energy efficiency, giving limited protection from the great British weather. However, installing one of our new conservatory roofs could transform and enhance your living space. You will be able to enjoy a warm and comfortable living area that is never too cold in the winter or too hot in the summer. Thus, ensuring you are fully protected throughout the year. These conservatory roofs make it easy to enjoy outstanding quality every day. 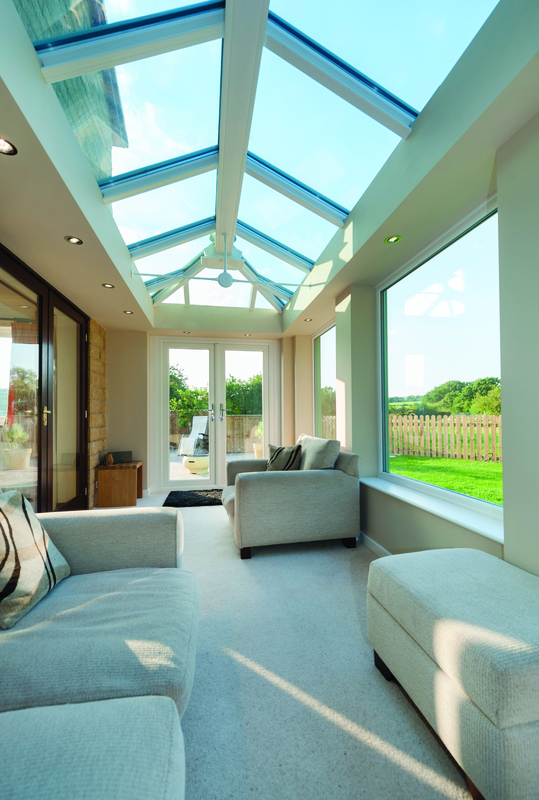 Our stunning conservatory roofs are stylish, blending seamlessly into the current aesthetic of your home. This means that whether you are living in a traditional or contemporary home, you will be able to enjoy the quality we have on offer with all our products. For a cost effective conservatory roof, the UltraRoof380 is a brilliant solution for your Romford home improvement project. They utilise a highly versatile design, which features glass panels within the solid roof design. It is pre-made to your conservatory measurements too, ensuring the perfect fit and a stress free installation. These stunning roofs are available in a beautiful finish too, giving a tidy and fresh appearance for you to enjoy. Our LivinROOF conservatory roofs are an incredibly impressive choice for your conservatory refurbishment project in Romford. It combines the solid roof with traditional glazing so that you continue to benefit from the light and airy space that you love. These cutting edge designer roofs give you all the benefits of both the solid roof and the glass roof. They provide superb thermal performance and an incredible aesthetic that is completely tailored to your tastes. Our realROOF conservatory roofs systems are a great solution for upgrading your current conservatory in Romford. They incorporate the very latest innovations so that you can create a functional room. Your conservatory will be the design you love, but with all the benefits of a traditional brick-built extension. We use brickwork to create impressive supports as well as an internal plastered ceiling which provides a stunning vaulted appearance. These amazing conservatory roofs are tailored to your design needs in every way. Thus, making them a luxurious choice for your home improvement project in Romford and Essex. Find your favourite from our range and get in touch with us today! 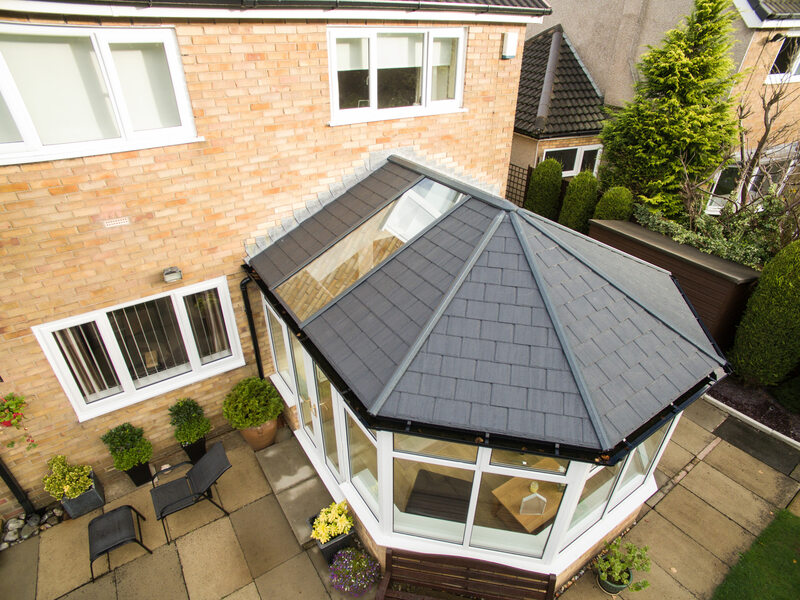 Whichever of our beautiful roofs you choose for your conservatory, you will benefit a multitude of ways. Compared to tired and dated polycarbonate roofs, our state of the art conservatory roofs offers incredible levels of thermal performance. There will be no more draughts or leaks, and you will benefit from a cool, bright space in the summer as well as a warm and cosy place where you can enjoy the views in the winter. Our conservatory roofs enhance the security of your conservatory in Romford whilst improving its appearance. We have a range of stunning conservatory roofs that are sure to fit the style and aesthetic of your existing conservatory. Talk to our trained experts to find out more. We only work with the best installers in the industry, so you will have peace of mind knowing you’re in the best, capable hands. Choosing Opus will allow you to enjoy competitive conservatory roof prices, and we will help you to find the perfect match for your home and your budget. Browse through our range of stunning conservatory roofs online, then get in touch with us to get more information. To find out more about our conservatory roofs, give us a call on 01708 723131. We will be happy to go through our range of products with you, giving you all the information you need to make an informed decision. We can even give you a quick quote at the end. Alternatively, send us an email using our online contact form and we will reply as soon as possible. Give us as much detail as possible and we will be able to provide you with expert advice. We can even call you back at a time that suits you. Or, use our online quoting engine to get a quick quote in minutes. It’s quick and easy to use. All you need to do to get a rough quote is enter a few dimension details and our team will be in touch with a quote in minutes. Use it today and see for yourself just how easy it is.